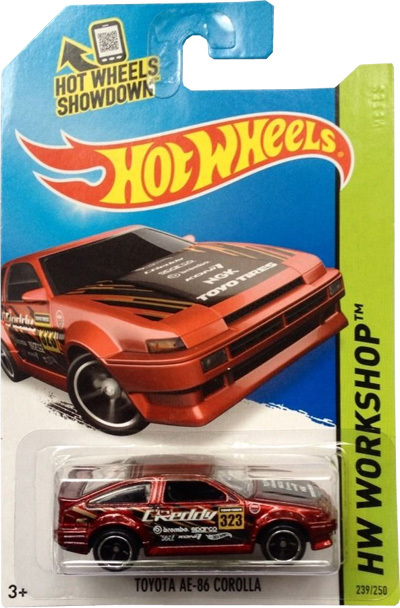 239/250 is part of the HW Workshop series and the 2015 Super Treasure Hunt set. 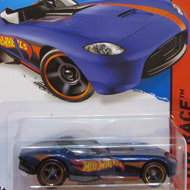 The Spectraflame red car sports black & copper graphics, “GReddy”, the Hot Wheels logo, and a variety of other logos on the sides and hood. The sides also have “323” in a yellow box and “TH”. 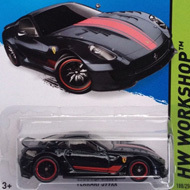 It has clear windows, a black interior, black 5-spoke Real Rider wheels, and a black plastic Malaysia base. The Corolla made its debut in the 2006 First Editions series and is based upon the actual vehicle. The Toyota’s light weight, relatively powerful engine, and rear wheel drive make it a popular car for rally racing.